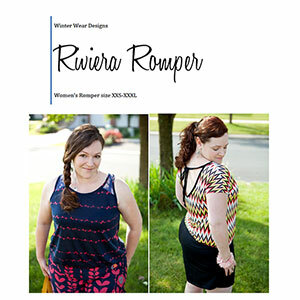 Watch out, the Riviera Romper may just become your favorite outfit ever!!! Designed for women on the go who need style in their wardrobe without the fuss. No need to worry about tops rising up, bottoms falling down, or even finding a matching outfit ever again. 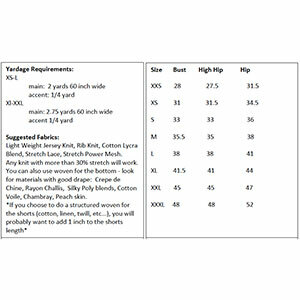 Suggested fabrics are light weight cotton jersey, cotton lycra or any knit with at least 30% stretch. 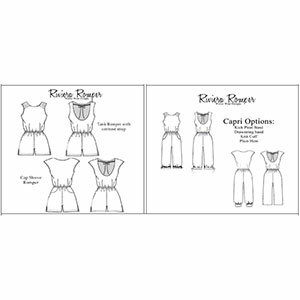 Try one of our great wovens for the bottoms.